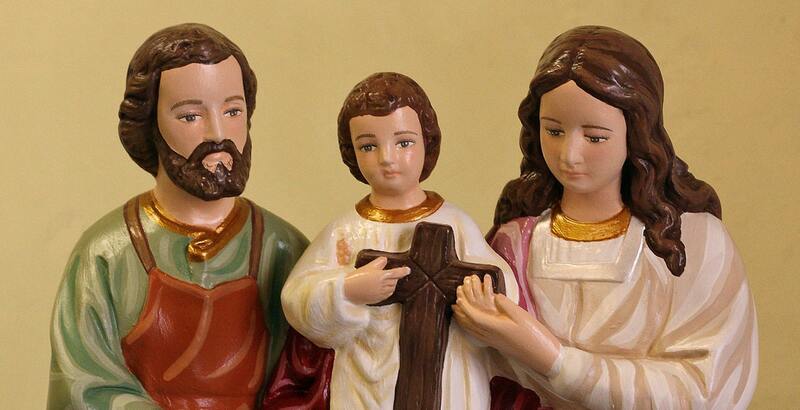 - Mary and Joseph with the child Jesus. - Patrons of family life and happy homes. - Feast Day: December 31st. 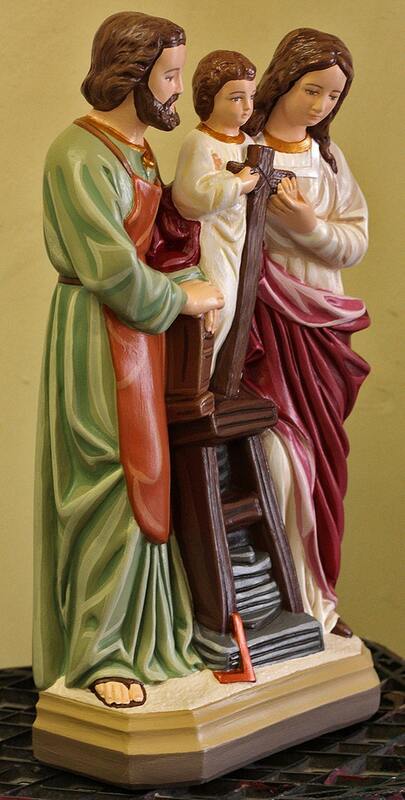 This magnificent 18" tall three-figured statue features inspiring hand painted faces and details such as fingernails and eyelashes. 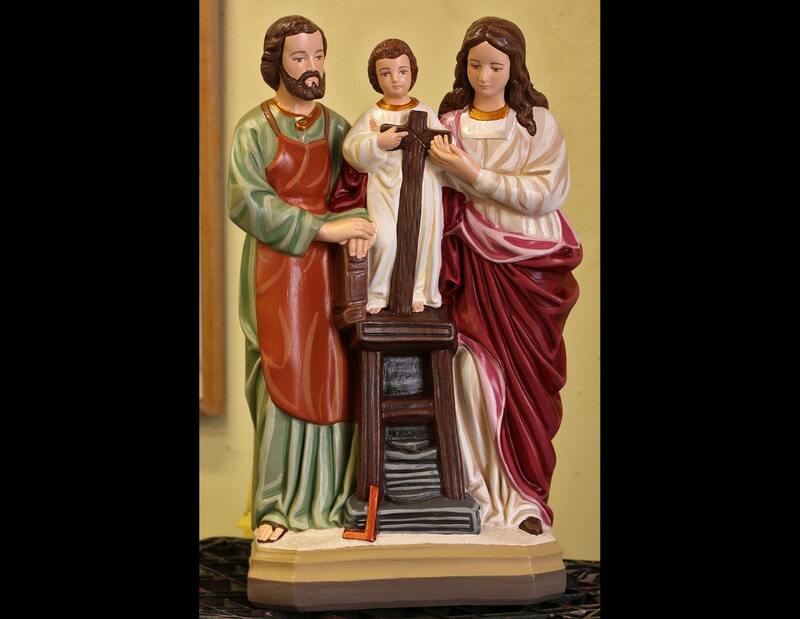 Sculpted detail highlights the carpenter Joseph with his tools, Mary as his earthly spouse and the child Jesus with a wooden cross growing in wisdom and knowledge. All our statues are handmade in the USA and made to order. Please allow 4-8 weeks for us to make the statue and to ship. • ADORNEMENT -Hand makes all of its adornments such as tiny rosary beads, cloth veils, golden halos, flowers, cloth cloaks and more for its statues as appropriate.